In a frank but brutal manner, a professor of genetics, Cyril Otoikhian, scorned people living with sickle cell anaemia, describing the disease as a death sentence for sufferers. 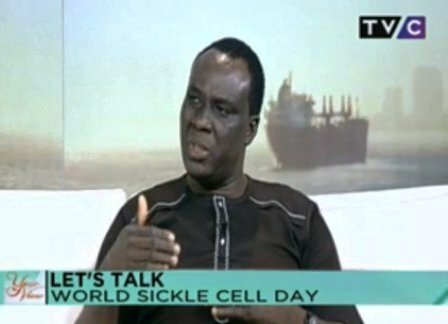 In a chat on Your View, a Television Continental (TVC) live programme this morning, Prof. Otoikhian who is also the founder of “Stop Sickle Cell in Africa,” dismissed the hope of cure or effective management of the disease, saying the disease is a curse. “The death sentence is from both parents who are AS and SS and still go ahead to get married,” he said, as Nigeria joined the rest of the world to mark the 2018 World Sickle Cell Day. Otoikhian described current research efforts on possible cure through genetic engineering as mere probability which may not be beneficial to many patients. Also, observing that the management of sickle cell is far beyond the reach of most Nigerians, he described such management efforts as a waste. 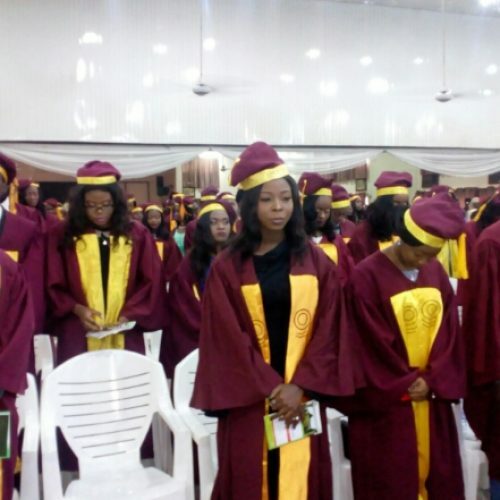 The Professor from Novena University, Ogume Delta state also dismissed the notion that the disease affects mainly the black race, saying other races only succeeded in preventing the disease through enlightenment and realistic approach which is lacking in the black race. He disclosed that his foundation is working towards getting Africans to be aware that sickle cell anaemia s irreversible or curable and that the only solution is for people with AS genotype not to marry spouses with SS genotype. “I am a professor of genetics…” He told Your View hostesses stressing that genes cannot be changed as is often believed in some religious circle. He did not see any reason to mark the World Sickle Cell day either. “What is there to celebrate,” he remarked asking why anyone would want to celebrate a disease that inflicts so much pain and anguish on sufferers. His views have however not resonated well with Nigerians, especially people living with sickle cell anaemia. A caller to the programme identified as Annette told him he was being insensitive and stigmatising sickle cell sufferers. 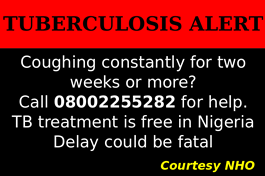 Contrary to the Professor’s view, the caller said the World Sickle Cell Day was being marked to celebrate the sufferers. “We are celebrating people. We are celebrating life,” she said. “So what do you do with the child Prof. Your view is very ignorant and insensitive. 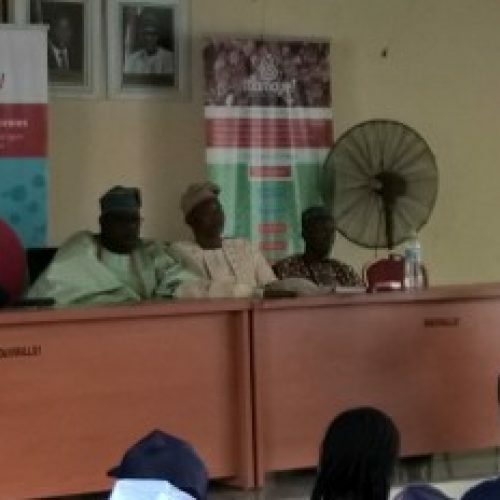 “In the future TVC should approach the Sickle Cell Society, Nigeria to send a representative to your program instead of someone who calls himself a professor and yet (is) ignorant about Sickle Cell,” he further said. The 2018 World Sickle Cell Day is the third edition of a globall event designed to draw attention to the dreaded disease. According to the United Nations Educational Scientific and Cultural Organization (UNESCO), Sickle Cell Disease (SCD) is the most frequent genetic disease worldwide. “It is present on four continents: in sub-Saharan Africa and in the Maghrib, in Asia (Middle-East, Arabic peninsula, India), in the Americas, on the North (USA), centre (Guatemala, Caribbean islands), and on the South (Brazil,SurinamSiGuiana), in Southern Europe (Southern Italy and Sicily, Greece, Turkey). “It is estimated that 500.000 are born every year with this severe and invalidating condition and that 50% of them will die before the age of 5 years. Trans-continental, SCD is also trans-ethnic and affects black populations from African origin and Arabic, Indian and Caucasian populations from Southern Europe.